Is evolving Nature all there is - a self-generated, self-propelled, and self-contained mechanism? Are human beings, as the peak of nature, sovereign owners and masters of their lives and their world? That is the stance taken by Richard Dawkins, naturalist, biologist and atheist. 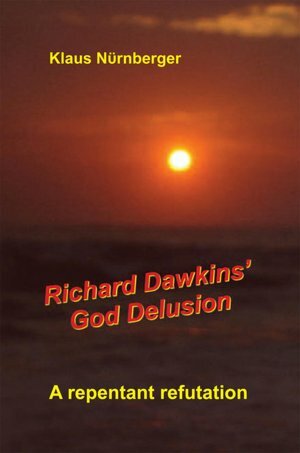 Or is evolving reality derived from, dependent on and empowered by God, the transcendent Source and Destiny of reality? Does this God reach out to humans as a person because humans are persons? That is the conviction of the Christian faith and the stance taken by the author of this book. A chimpanzee moving bipedally during the study. Credit: Prof. W C M McGrew. Our earliest ancestors may have started walking on two limbs instead of four in a bid to monopolise resources and to carry as much food as possible in one go, researchers have found. A study published in the journal Current Biology this week, investigated the behaviour of modern-day chimpanzees as they competed for food resources, in an effort to understand why our “hominin”, or “human-like” ancestors became bipedal. Its findings suggest that chimpanzees switch to moving on two limbs instead of four in situations where they need to monopolize a resource, usually because it may not occur in plentiful supply in their habitat, making it hard for them to predict when they will see it again. Standing on two legs allows them to carry much more in one go because it frees up their hands. The joint University of Cambridge and Kyoto University team of biological anthropologists, led by PhD student Susana Carvalho and Professor Tetsuro Matsuzawa, conclude that our earliest hominin ancestors may have lived in shifting environmental conditions in which certain resources were not always easy to come by. Over time, intense bursts of bipedal activity may have led to anatomical changes that in turn became the subject of natural selection where competition for food or other resources was strong. Yesterday I told you why it was IMPORTANT to stand up and be counted as an “ATHEIST” and not a “NO-REL-PREF”. Today, I’m going to tell you how. Army: Walk in to your unit’s S-1 office. Ask them to update your ERB or ORB. Tell them you want to fix your religious preference. Tell them you want “ATHEIST”. If they say anything about it not being an option, calmly explain that they are mistaken, and to check the list (it’s alphabetical for them.) If you still need more ‘proof’, here is the regulation: AR 680-29 (page 41). I made a cheat sheet for you. The vast majority of military atheists do not have 'ATHEIST' on their records. Most of us were told (incorrectly) that you must instead use “NO-REL-PREF” which means No Religious Preference. This hasn’t been true for over a decade. It’s time to overcome this climate of fear. The silence is part of the problem. Don’t back down brothers and sisters. Out of those closets. If you have NO-REL-PREF on your records, you are wrong. Go to S-1 today. You walk right in. Tell them you want to update your records. Tell them your religious preference is wrong. They will type a few things. When they get to the correct screen, they’ll ask you what you want instead of NO-REL-PREF. You look them in the eye and tell them “ATHEIST”. That’s it. Nothing else to it. It takes two minutes. "ATHEIST" is on the list, despite what 99% of us were told at MEPS and boot camp. You can purchase dogtags to match if your unit does not have a machine. A few bucks, and again, a few minutes. The Wiccans did it a decade ago. They used to be looked down upon as satanic puppy stabbers. Now they’re world of warcraft nerds. I’ll take that kind of upgrade. Perhaps we can be the military’s bookworms? Whatever your fear is, it’s part of the problem, rational or not. When we come out in great numbers, we will change some opinions. More importantly, we will change the conversation. Just 18 months ago, nobody thought Rock Beyond Belief was possible (myself included). We’ve got a breakthrough on our hands. Stand up and be counted. See you at Fort Bragg. 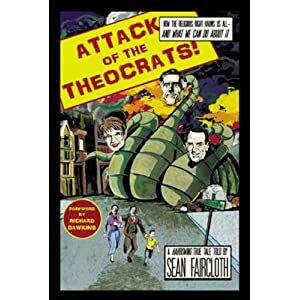 Sean Faircloth, with the Richard Dawkins Foundation for Reason and Science, discusses his new book, Attack of the Theocrats, which examines the crumbling of the wall of separation between church and state—and offers a specific and sensible plan for rebuilding it.